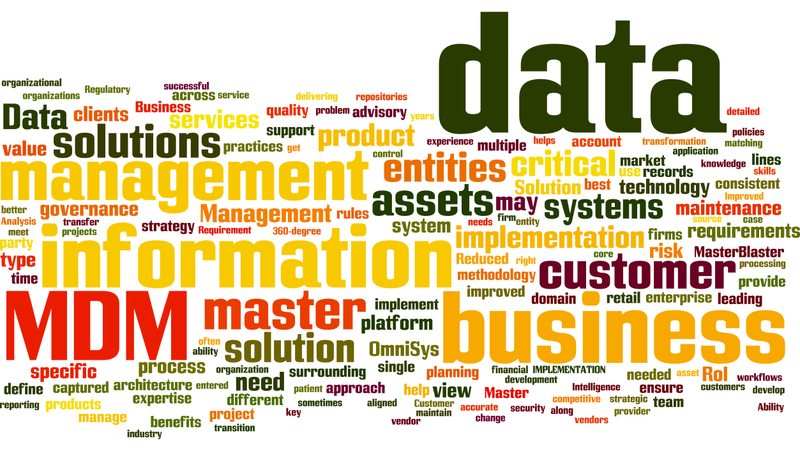 IT Case Study – Master Data Management Solutions by OmniSys. A retail supplier and buyer of neuro-surgical and bio-medical equipment with a growing customer base, product lines, partners and vendors has a strange problem. It was suddenly realised while the greatest assets for the firm were their commitment to delivering quality, continual improvement of existing product and service lines and the employees who ensure this strategy gets implemented in totality, the data assets or the information assets which the firm had, were not really conducive to such a plan for achieving excellence.The company needed a 360-degree view of its core information asset entities surrounding its business, its transactional information surrounding such entities, and integrated data for business analytics. The inability to get this critical information was prolonging customer service time and product management time, affecting overall time to market products and thus the bottom-line. 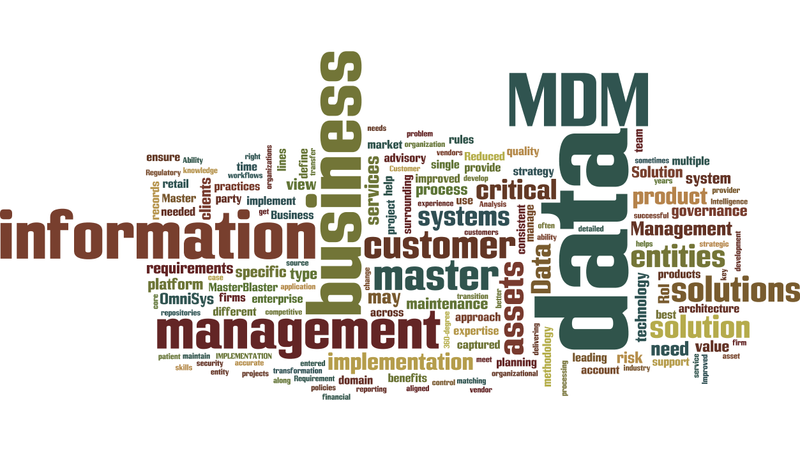 Following the OmniSys MDM strategy, the ITeS provider created the MDM platform with services and rules to clean, rationalize, unify, standardize, de-duplicate and govern master data. Needles to say, this solution has not only brought adaptability in information management and propagation between various information management applications but has also given more control to clients to manage data and get a 360-degree reporting view around each critical master entity. These master entities would have data captured on critical dimensions which are less likely to change very frequently. 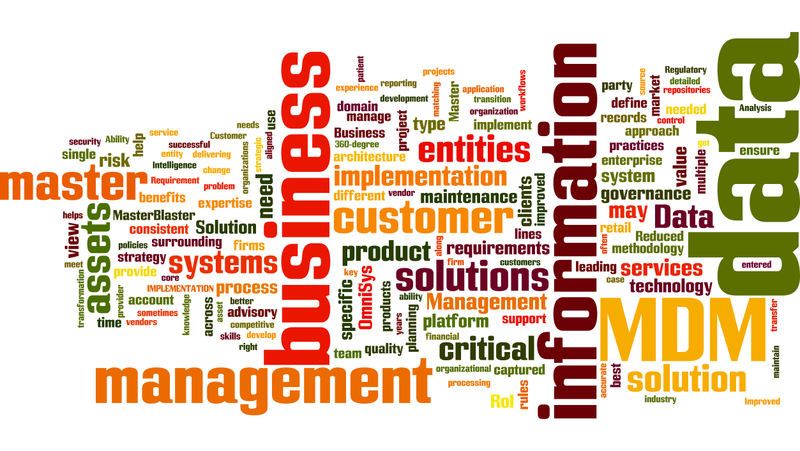 Based on the type of business and information entities that needed to be mastered, some of the tangible benefits to businesses of the MDM initiative were: Decreased Call-to-Order Processing Duration, Reduced Shipping, Supply Chain Improvements, Improved Revenue, Improved Call Center Performance, Reduced Time to Market, and Invoicing Errors, Faster Collection of Product, Vendor, Customer and Price List Information, Regulatory Compliance, Better Data Integration, and Reduced IT efforts to mitigate data quality risks. Master Data Management is the unique combination of managing process, people and technology that can help these organizations achieve and maintain a single, consistent view of business-critical data entities across the enterprise information systems. A competitive market scenario in an open economy often drive firms to try and utilize their critical data assets more effectively to achieve their strategic goals. In such turbulent times, globalization, mergers and sometimes even acquisitions are forcing the need for these organizations to have consistent information assets synchronized across the data repositories panning different information systems. Regulatory compliance is highlighting the need to have the data tagged with all its peripheral enablers (policies, definitions, domain, business rules, metadata, quality, governance, ownership, security, etc.). Business Analytics won’t thrive without measurable, accurate, consistent, cleaned and reliable data. This drives the criticality of MDM solutions when business enterprises have numerous systems processing their information assets. OmniSys provides a complete, turn-key approach to define, implement, and support multiple master data management solutions. It combines the technology skills along with the advisory specific subject matter expertise with a world class methodology and project management capabilities to ensure timely completion of MDM projects and return on investment. In business, master data management (MDM) comprises the processes, governance, policies, standards and tools that consistently define and manage the critical data of an organization to provide a single point of reference. 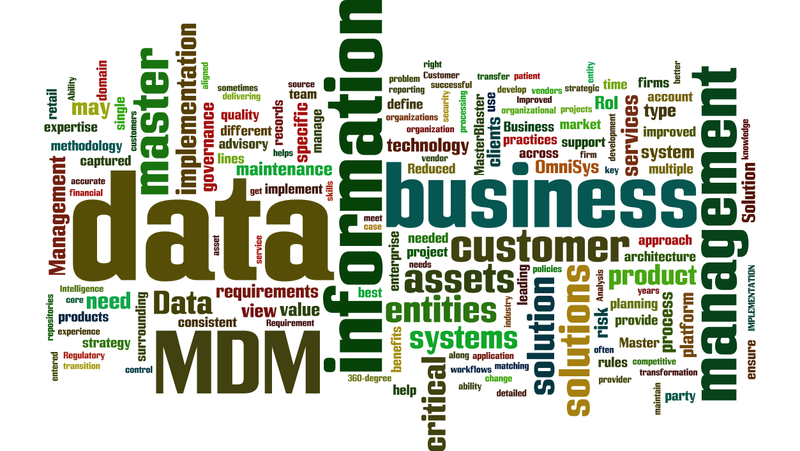 Master data management has the objective of providing workflows for aggregating, matching, collecting, cleaning, consolidating, persisting, quality-assuring, and distributing such data throughout an enterprise to ensure consistency and control in the ongoing maintenance and application use of the data assets. It is important to know that a master data management system, comprising of the platform, workflows and support can be used to enable master data governance by removing duplicacies, standardizing information assets, and incorporating business rules to eliminate incorrect data from entering the data repositories in order to create an authoritative source of information assets which could be leveraged better by the other data crunching systems. Master data are essentially the core information giving an overview of the products, customers and parties for which the business transactions are completed and recorded. The root cause problem stems from business unit and product line segmentation, in which the same customer will be serviced by different product lines, with redundant data being entered about the customer (or sometimes it could be the party in the role of customer) and account in order to process the transaction. The redundancy of party and account data is compounded in the front office to the back office life cycle, where the authoritative single source for the party, account and product data is needed but is often once again redundantly entered or augmented. For example, records of a Customer entity for a B2C retail company may have different addresses captured for the same address type. Again the same customer may be represented in multiple data hubs as being separate customer records. The proposed solutions deliver the right business value to all business stakeholders and help the clients meet their ROI expectations. IMPLEMENTATION : Support & maintenance and Enhancements and new functionality. In use for more than 25 years, MasterBlaster Data Management Solution is an integrated suite of business and IT methods that helps OmniSys and our clients maximize the value of business transformation initiatives. MasterBlaster Data Management Solution helps implement and manage organizational change throughout the entire business transformation lifecycle. This includes strategic planning, business and IT architecture development, application and systems development, project deployment and maintenance, and program and project management. Industry aligned MDM Standards & Best Practices to enable quicker RoI achievement for the customers moving towards an MDM enabled strategy. In over 5 years of delivering successful Business Intelligence and Data Management solutions, the OmniSys outcome-based thinking has been established as a key success factor for driving master data management projects. With a full understanding of the critical business objectives and their alignment with the solutions’ features and strengths, their advisory services practice can render their expertise to bring in the benefits, risk, value management skills surrounding MDM solutions to assist firms in solidifying the requirements, help develop the financial RoI centered cases followed by recommending the right solution that will meet your business needs. Our broad experience and best practices, coupled with accelerators, a widely recognized world-class methodology, allow them to maintain a the competitive edge. A collaborative approach between their implementation team and the client’s CIO team ensures smooth transition and knowledge transfer to the client organization after a successful implementation. Question: Conduct a Requirement Analysis for the described solution for customer type entities for an enterprise operating in the organized retail market in India. What would be the type of data which may need to be captured? After the Requirement Analysis, identify key requirements and the metrics/criteria which you may use for conducting an effectiveness audit of the system. What could be the entities you could master? What would be the attributes you would want to master for such entities? Disclaimer: This is a case study for teaching master data management in university classrooms. This case may bear resemblance to actual solutions, only to highlight the best practices and industry specificity of the needs. No attempt is being made to promote or criticise any solution of any vendor.